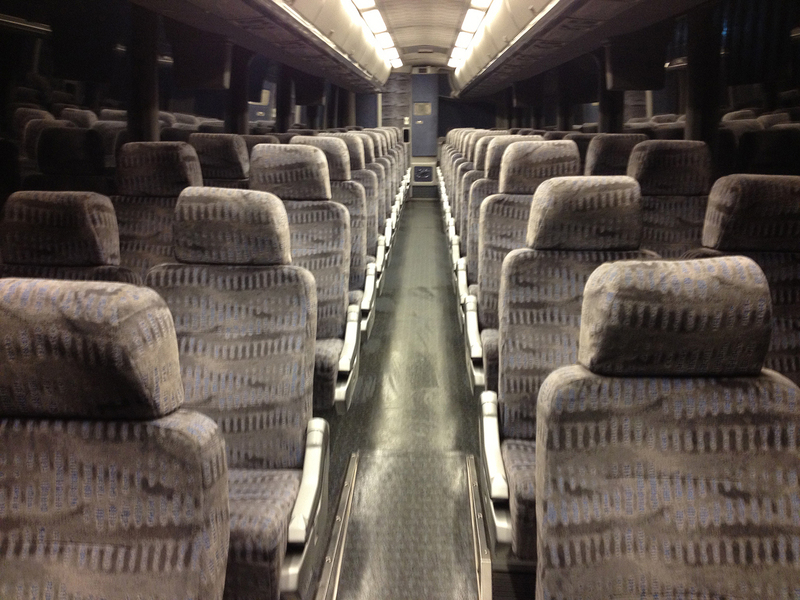 We have seven 56-passenger motorcoaches. 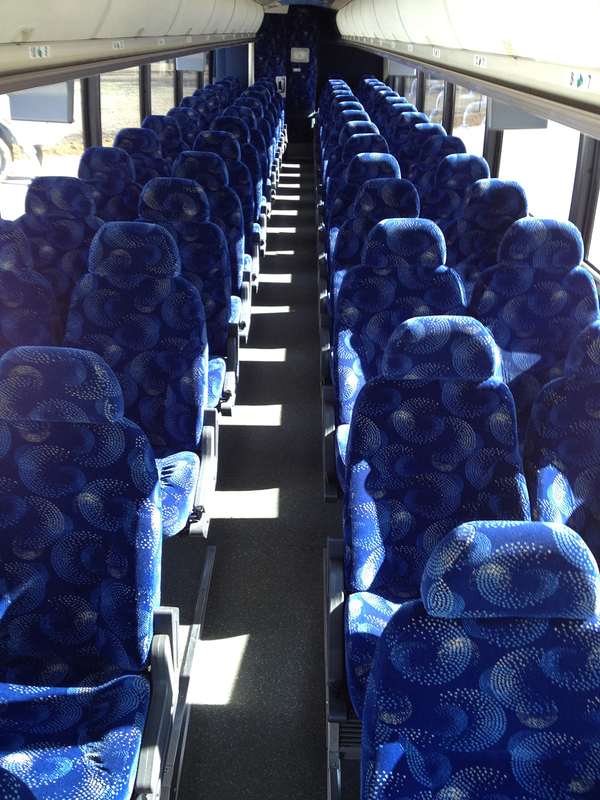 These comfortable buses are great for short or long trips with large groups, with large luggage bays and expansive windows for sight-seeing. 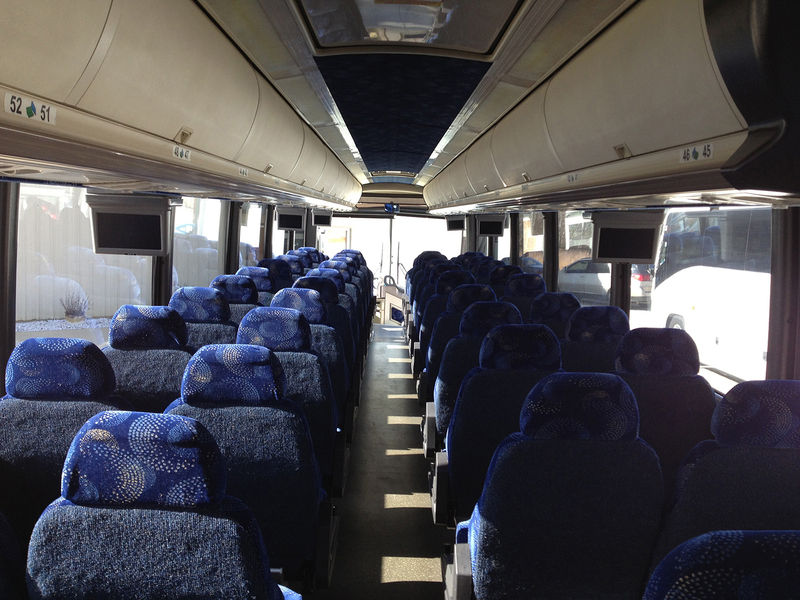 All of our coaches have onboard restrooms, climate control, public address systems, DVD player with monitors, and optional WiFi. 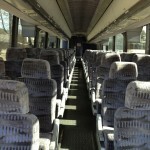 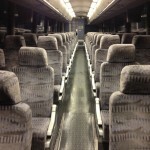 In addition to our larger buses, we also have a 38-passenger motorcoach available for charter. 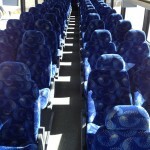 This coach is ideal for short trips and touring with smaller groups, or as a supplementary vehicle to a larger group. 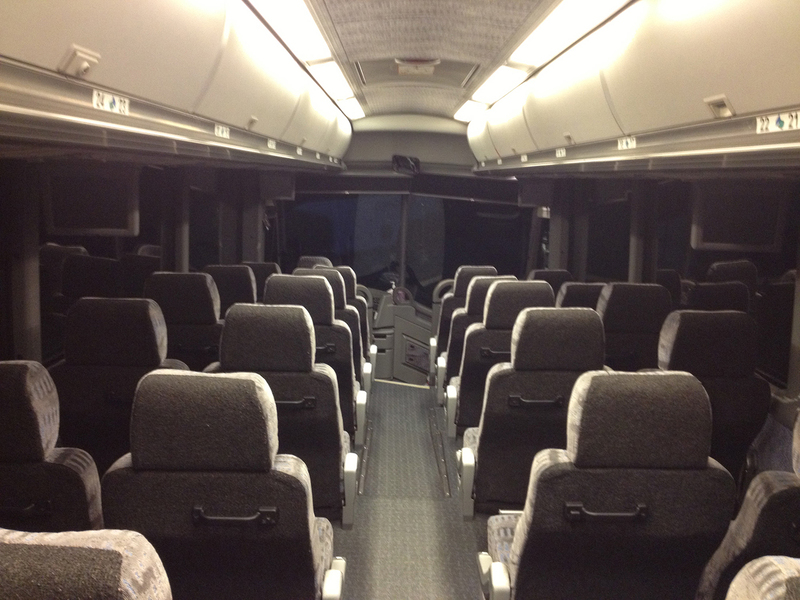 It has a restroom, public address system, DVD player with four monitors, overhead storage and luggage bays. 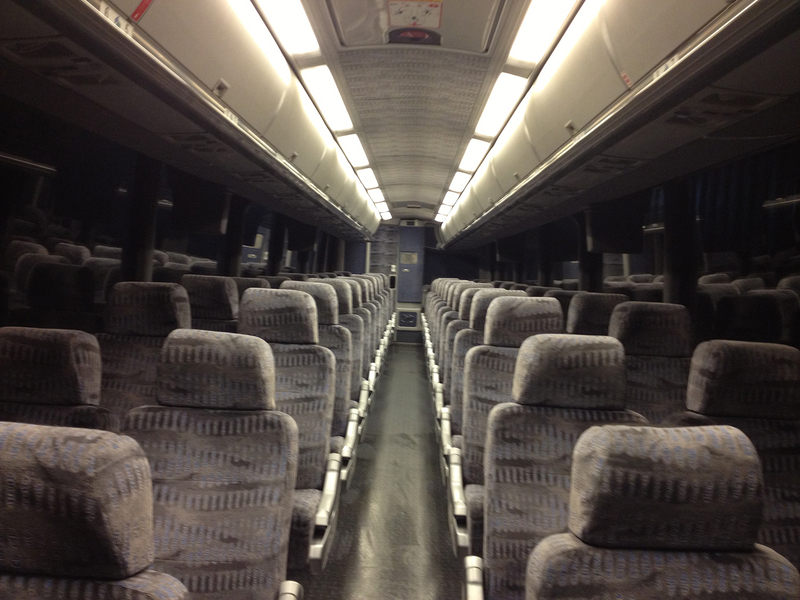 We are committed to the safety, comfort, and convenience of all passengers. 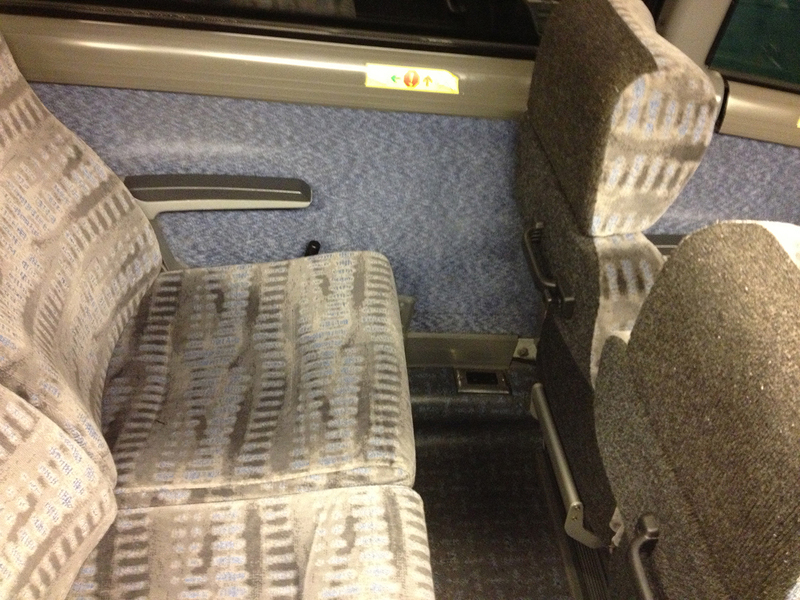 We are ADA compliant. 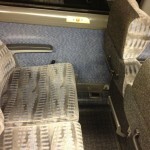 Our buses are noted by customers for their cleanliness and well-maintained look. 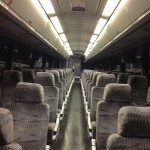 All coaches are climate-controlled and have onboard restrooms. 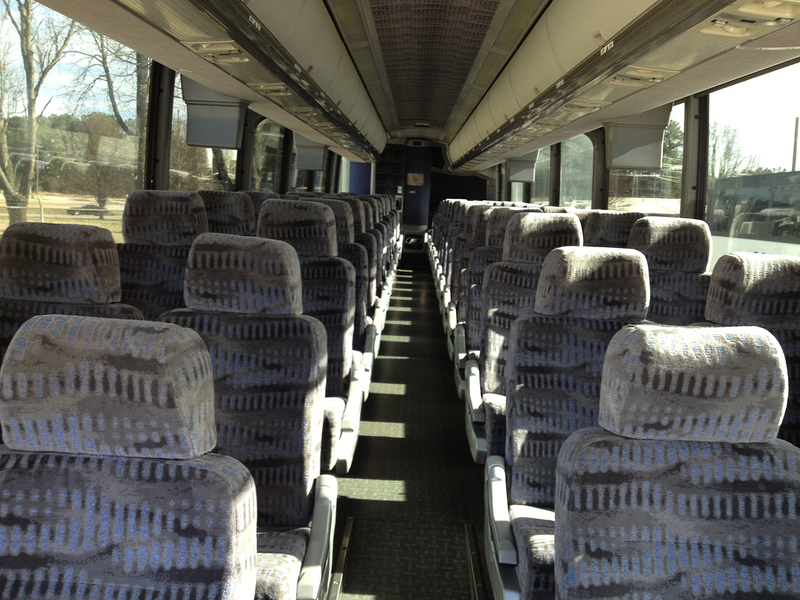 All coaches feature comfortable reclining seats and footrests. 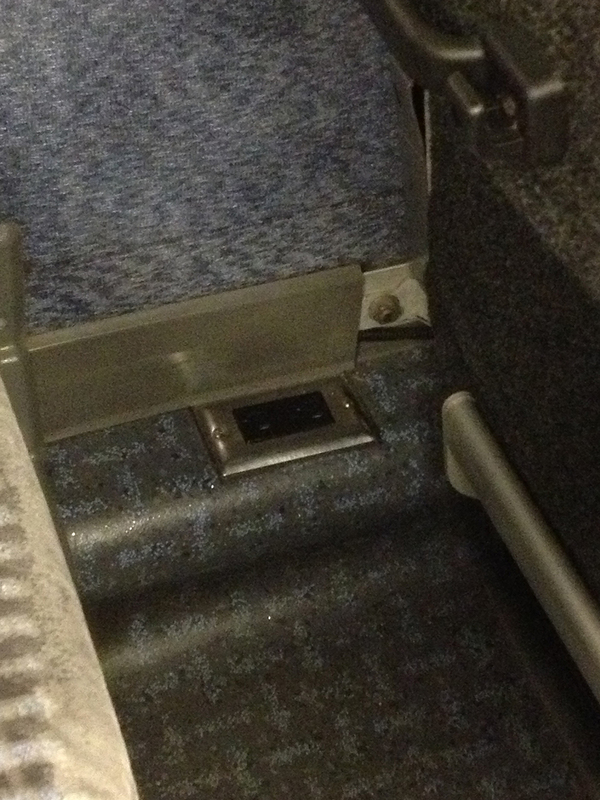 Every seat also has individually controlled reading lights and air vents. 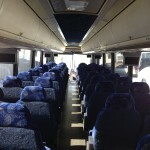 Coaches have commodious storage bays and convenient overhead storage bins. 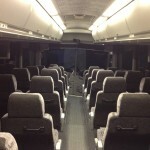 DVD monitors are placed throughout the bus. 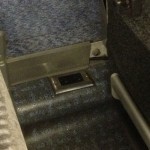 Select buses feature charging ports conveniently located near passenger seats.